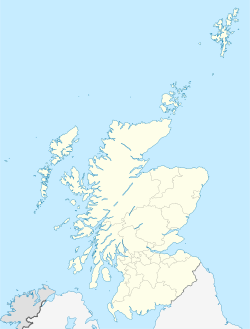 Aberdeen Grammar School is a state secondary school in Aberdeen, Scotland. It is one of thirteen secondary schools run by the Aberdeen City Council educational department. It is the oldest school in the city and one of the oldest grammar schools in the United Kingdom, with a history spanning more than 750 years. Founded around 1257, the year used in official school records, it began operating as a boys' school. On Skene Street, near the centre of the city, it was originally situated on Schoolhill, near the current site of Robert Gordon's College. It moved to its current site in 1863, and became co-educational in 1973. From 1970 to 1977, it was known as Rubislaw Academy, named after the nearby Rubislaw area of Aberdeen. In an annual survey run by the British broadsheet newspaper The Times, Aberdeen Grammar was rated the 12th best Scottish state secondary school in 2007, and second in Aberdeen behind Cults Academy. The most notable alumnus is Lord Byron, the Romantic poet and writer. A statue of him was erected in the front courtyard of the school. Other alumni include Scottish international footballer Russell Anderson, mathematician Hector Munro Macdonald, Nobel Prize winner John Macleod and the last living recipient to have been awarded the Victoria Cross during the Second World War, John Cruickshank. The exact date of the school's founding is unknown; however, research done to mark the school's 750th anniversary led to the belief it was formed in c. 1257, which is the date that is now used for official school purposes. The earliest documented date of its existence is in the Burgh Records of 1418, when the Lord Provost and Council nominated John Homyll to replace the recently deceased Andrew of Chivas as "Master of the Schools". Originally on Schoolhill, near the site of the current Robert Gordon's College, the curriculum consisted of Latin, Greek and ancient geography. In 1580, new pupils were reprimanded, under the penalty of £10, if they did not show good behaviour or did not listen to their Magistrates or masters. In 1612, the pupils, many of whom were related to the gentry in the country, rioted with pistols and hagbuts, and took over part of the school. The masters stopped the riot, and 21 pupils were expelled, while some were arrested. From 1861–1863, the school moved to its current location on Skene Street. A large granite building in Scottish baronial style was constructed and officially opened on 23 October 1863. This allowed expansion of the curriculum to include English, mathematics, modern languages, art and gymnastics. Other buildings and extensions have been added to the 1863 building since it was built. These include the Bennum Building (originally a primary school) and the 1960s modern design: a west-wing science block, theatre, and a dining hall. Originally a private boys' school, it became a council grammar school and then a comprehensive academy in 1970. It became co-educational in 1973. In 1986, the original building was devastated by a fire, destroying most of the rooms including the large library, a collection of Byron's notebooks, the trophy room and other classrooms, although the historic facade was mostly undamaged. The school was rebuilt over many years, with modern facilities, while pupils studied in temporary classrooms in the playground. These Portakabins were used by the English and Art Departments. The school and FPs club own the 18-acre (73,000 m2) Rubislaw Playing Fields at a site about a mile away from the main school building. Shared with the former pupils' club, the location has rugby union pitches with a stand, football pitches, grass hockey pitches and an artificial hockey pitch built in 2005. 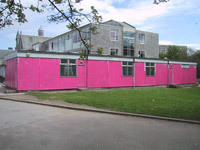 In recent years the school has been the site of a number of newsworthy events, including a protest against PETA, the painting pink of an entire temporary classroom block, and a bomb threat. The school marked its 750th anniversary year in 2007 with a series of fund-raising events, the proceeds of which went towards buying a new school minibus. Also in 2007, work was completed on a new gymnasium, begun two years previously. The new building has a modern interior compared with the old granite. The building at the Rubislaw Playing Fields was also refurbished in 2008 in much the same style as the gym, and was extended to include four extra changing rooms and a reception area. The motto is Bon Record. This is not to be confused with that of the City of Aberdeen—Bon Accord—which was first heard of in 1308, over 50 years after the school was founded. Today the school is run by Aberdeen City Council in accordance with the Scottish Executive's educational guidelines for state schools. In the 2013/14 academic year, the education of each pupil at the Grammar School specifically cost £4,252. This was the lowest spending per pupil out of the local authority secondary schools. In the session 2006–2007, 43% of fifth- and sixth-year pupils received a qualification equivalent of five Highers or more—a 3% increase on the previous year. It is now ranked 12th equal in Scotland for these qualifications. Furthermore, 64% of fourth-years gained a Standard Grade at Credit level—an increase of 4%. The school is currently ranked 10th in this field. In an annual survey run by the British broadsheet newspaper The Times, Aberdeen Grammar was rated the 19th best Scottish state secondary school in 2005 based on exam results, rising to 16th in 2006 and, most recently, 12th in 2007. About 1100 pupils attend the school each year, between the ages of about 11 to 18. 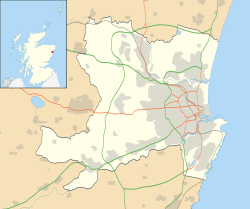 The school's catchment area centres on the west end of the city, including Rosemount and Mannofield. There are five main primary schools that feed into the school, located throughout the centre and west-end of Aberdeen: Ashley Road Primary School, Gilcomstoun Primary School, Mile-End School, Skene Square Primary School and St. Joseph's Primary School (a Roman Catholic faith school). Under the Parent's Charter, children from other areas can attend the school after successful application by parents. Places using this method are limited for each year. The school operates a 'Colours System', wherein pupils are awarded colours at multiple levels for representing the school in extra-curricular activities. In 2018 the school introduced 'Citizenship Colours', for 'Outstanding contribution to a group within our school community'. There are three main colour awards given. The first, 'Junior Colours', is issued in the third year of the school. It is represented by a red ribbon on the breast pocket of the school blazer. It requires two years of participation in the chosen activity to be eligible for this level of colours. The second, 'Half Colours' are awarded in fifth or sixth year, which is represented by a light blue tie (replacing the navy, red and white tie). Pupils must be participating in the activity throughout fourth and fifth year to be able to get this award. The third, 'Full Colours' is the final level of the colours system. It is represented by a ribbon outlining the rims of the school blazer. Pupils must demonstrate a very high level of attainment, performance and achievement to be eligible for this award. When starting school pupils are allocated into one of the three houses in the school. These three houses are Byron, Keith and Dun and Melvin. Pupils earn house points throughout the year by winning inter-house competitions, and at the end of the year the house with the most points is awarded the Inter-house Challenge Cup at prize giving. The school has a particular emphasis on boys' rugby union and girls' hockey. The former pupils club provide extra coaching on some games afternoons and with whom many pupils continue to play for once they leave school. The school has several teams, including football, hockey and rugby sides, and in basketball the school has a strong team linked to the former pupils Greywolves team. There is also representation in golf, swimming, badminton, tennis, gymnastics, netball and volleyball. There are also many non-sporting groups at the Grammar School. The school concert band represents Grammar in festivals such as the National Concert Band Festival and Scottish Concert Band Festival and frequently receives platinum and gold-plus awards. Face the Music, the school theatre group, performs a musical every year in the school hall. Other groups include the art club, debating, choir, gardening club and charities group. The school has a large and active Former Pupils' Club, which has members all over the world and a clubhouse at Queens Road opposite the extensive Rubislaw Playing Fields. The club is home to the largest selection of sports clubs in Aberdeen. These include the Scottish Premier Division rugby team and the Aberdeen GSFP RFC, who play at Rubislaw Playing Fields. The rector is the head of the school. Records show there were 26 rectors between 1418 and 1881. Russell Anderson, Scotland international footballer, captain of Aberdeen F.C..
James Beattie, professor of moral philosophy and logic at the University of Aberdeen. George Boyne, principal and vice-chancellor of the University of Aberdeen. Lord Byron, poet, famous poems include Childe Harold's Pilgrimage and Don Juan. His statue stands in front of the school. William Robinson Clark, Dean of Taunton and Prebendary of Wells and Professor of Theology, mental and moral philosophy at University of Toronto, Canada. Craig Clunas, Professor of Art History at University of Sussex, SOAS and Oxford University. Robin Cook, former cabinet member and Secretary of State, now deceased. Alexander Cruden, theologian, author of Cruden's Bible Concordance. Andrew Cruickshank, Film and television actor. Sir James Donaldson, former Principal of University of St Andrews, Professor of Humanity at University of Aberdeen, Rector of both Stirling High School and Royal High School of Edinburgh. James Gibbs 18th century architect. David Gregory, Professor of Mathematics at University of Edinburgh, Savilian Professor of Astronomy at Oxford University. Commentator on Isaac Newton's Principia. David William Lacy, Moderator of the General Assembly, 2005. James Legge, first Professor of Chinese at Oxford University. Alexander Veitch Lothian FRSE taught Maths and Science at the school 1881 to 1890. Hector Munro Macdonald, Scottish mathematician and Fellow of the Royal Society in 1901, of Edinburgh in 1905 and was awarded the Royal Society Royal Medal in 1916. I. Howard Marshall, New Testament scholar. J. Bryce McLeod Scottish mathematician and Fellow of the Royal Society of Edinburgh in 1974, Fellow of the Royal Society of London in 1992, awarded the Royal Society of Edinburgh Keith medal and prize in 1987, London Mathematical Society Naylor Prize and Lectureship in 2011, now deceased. James Fraser McLuskey, Moderator of the General Assembly, 1983. Andrew J. Milne, Moderator of the General Assembly, 1905. Dallas Moir, former Scottish Cricketer. Louis Arnaud Reid (1895-1986), writer on aesthetics and foundation professor of the Philosophy of Education at the London Institute of Education. Professor Sir C. Duncan Rice, historian and Principal of the University of Aberdeen from 1996-2010. Steve Robertson of "Scotland the What?" Jonathan Rowson, Scotland's number 1 (2009) chess Grandmaster and former British chess champion. David Wedderburn (teacher), wrote Vocabula in 1636. David West, Scottish watercolour painter. ^ a b "Aberdeen Grammar School". Parentzone Scotland. Retrieved 23 March 2018. ^ "List of Aberdeen City schools". Aberdeen City Council. Retrieved 18 October 2018. ^ a b c d "School History". Aberdeen Grammar School. 2006. Archived from the original on 22 February 2007. Retrieved 30 January 2007. ^ a b c d e f Aberdeen. Placemark key on left (Map). Google Maps. 2007. Retrieved 29 September 2016. ^ Naughton, Philippe; Sage, Adam (2007). "The top 50 state secondary schools in Scotland". London: The Times. Retrieved 5 August 2008. ^ a b "Hector Munro Macdonald". School of Mathematics, St Andrews. Retrieved 7 December 2007. ^ "Aberdeen Grammar School | Provenance | Provenance | The University of Aberdeen". University of Aberdeen. Archived from the original on 18 January 2017. Retrieved 16 January 2017. ^ a b Turreff, Gavin (1859). Antiquarian Gleanings from Aberdeenshire Records. King. p. 65. ISBN 1-4326-3337-6. ^ "Aberdeen Grammar School Aberdeen". Her Majesty's Inspectorate of Education. 2000. Archived from the original on 4 June 2011. Retrieved 6 December 2007. ^ a b "Aberdeen Grammar School Former Pupils". Former Pupils' Club. Retrieved 7 December 2007. ^ a b c "Aberdeen Grammar Rugby". Aberdeen Grammar Rugby. Archived from the original on 12 December 2007. Retrieved 7 December 2007. ^ "Milk protest turns sour". Edinburgh: The Scotsman. 12 October 2002. Archived from the original on 11 February 2007. Retrieved 30 January 2007. ^ "Charges over "threatening call"". BBC News. 13 November 2007. Retrieved 18 November 2007. ^ "Aberdeen Grammar School News". Aberdeen Grammar School. Archived from the original on 19 December 2007. Retrieved 6 December 2007. ^ Beattie, Kieran. "Pupils sent home after suspected gas leak in Aberdeen". Press and Journal. Retrieved 1 March 2019. ^ Morrice, Emma. "Aberdeen academy to reopen after suspected gas leak". Evening Express. Retrieved 1 March 2019. 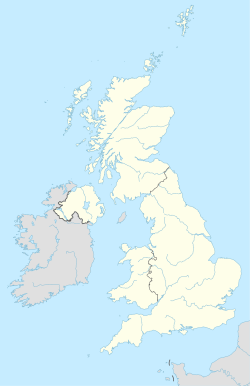 ^ "North East Secondary School Spending". Evening Express. 2015. Retrieved 4 December 2016. ^ a b Naughton, Philippe; Sage, Adam (2007). "Parent Power 2007". Times Newspaper. London. Retrieved 21 December 2008. ^ a b c "School Prospectus 2018" (PDF). Aberdeen Grammar School. 2018. Retrieved 18 October 2018. ^ a b c "Aberdeen Grammar School Colours Criteria". Aberdeen Grammar School. Retrieved 4 December 2016. ^ "Scottish Golf View". www.scottishgolfview.com. Retrieved 24 March 2008. ^ "Concert Band Notable Achievements". Aberdeen Grammar School Concert Band. Retrieved 4 December 2016. ^ "Face the Music". Face the Music. Archived from the original on 20 December 2016. Retrieved 4 December 2016. ^ "Extra Curricular Timetable". Aberdeen Grammar School. Retrieved 4 December 2016. ^ "Schoolhill". The Doric Columns. Retrieved 28 May 2007. ^ "Aberdeen Teaching Appointment". The Glasgow Herald. 25 October 1941. p. 2. Retrieved 24 November 2013. ^ "Formation of the Club". Aberdeen Grammar School Former Pupils Club. Retrieved 24 November 2013. ^ Thomas Alexander Lee (2006). Seekers of Truth: The Scottish Founders of Modern Public Accountancy. Kidlington, Oxford: Elsevier. ^ "Russell Anderson Player Profile". afc.co.uk. Aberdeen F.C. Archived from the original on 23 May 2013. Retrieved 11 July 2013. ^ "Life of great Aberdonian celebrated". University of Aberdeen. 1 February 2012. Retrieved 11 July 2013. ^ "The Life of George Noel Gordon, Lord Byron". English History. Retrieved 21 December 2007. ^ "Obituary: Robin Cook". BBC News. 6 August 2005. Retrieved 26 December 2007. ^ "Martin Dalby". Chester Music. Retrieved 3 April 2010. ^ "Fellow details". London: The Royal Society. Retrieved 18 October 2018. ^ Sandrone, S.; Zanin, E. (2014). "David Ferrier (1843–1928)". J Neurol. 261 (6): 1247. doi:10.1007/s00415-013-7023-y. ^ Terry Friedman (1984). James Gibbs. Yale University Press. p. 4. ISBN 0-300-03172-6. ^ "Welcome to VORTEX, War Art & Artists". Archived from the original on 2 November 2010. Retrieved 12 December 2010. ^ "Mr Iain Gray". University of Bristol. Retrieved 3 April 2010. ^ Chisholm, Hugh, ed. (1911). "Masson, David" . Encyclopædia Britannica. 17 (11th ed.). Cambridge University Press. p. 870. ^ "Melvin Collection". University of Aberdeen, Library, Special Collections and Museums. Retrieved 24 November 2013. ^ "Aberdeen Bach Choir". Archived from the original on 3 September 2011. Retrieved 15 November 2010. ^ "John Bryce McLeod". School of Mathematics, St Andrews. Retrieved 19 August 2015. ^ "Scotland the What?". About Aberdeen. Archived from the original on 10 November 2007. Retrieved 21 December 2007. ^ Fraser, W. Hamish; Lee, Clive Howard (2000). Aberdeen, 1800-2000: A New History. Dundurn. p. 36. ISBN 978-1-86232-108-3. ^ "William Smith II - Basic Biographical Details". Dictionary of Scottish Architects. Archived from the original on 1 November 2013. Retrieved 1 November 2013. ^ "Origin and meaning of the word "golf"". Scottish Golf History. Archived from the original on 12 December 2007. Retrieved 21 December 2007. ^ Turreff, Gavin (1859). Antiquarian Gleanings from Aberdeenshire Records. King. p. 296. ISBN 1-4326-3337-6. ^ "Here's what you need to know about Ross William Wild and who has he worked with - Evening Express". Evening Express. Retrieved 7 June 2018. 2006 Prospectus (download). Details exam results, pupil and staff numbers, departments and other statistics.